It offers access to a range of open data and statistics collected from national and local data sources and information on a range of topics such as population, ethnicity, employment, health, deprivation and crime. We're opening up our data and DATA Plymouth is where you can access the datasets, view the visuals or join our digital community to play and discover Plymouth's open data. Open data is data that anyone can access, use and share. Simple as that! We've realised that by opening up data and working with other organisations, tech companies and local talent we can deliver services in new ways and raise income by growing Plymouth's economy. Open data can be used to improve access to healthcare services, understand government better and travel to places more easily. Do you have some interesting data that you could open or is there any data you'd like see opened? 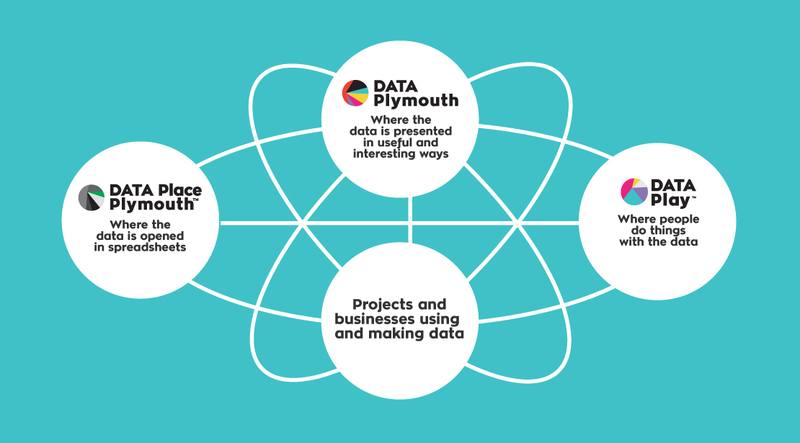 If you or your organisation want to open data, share skills, challenges or just be involved email DATAPlymouth@plymouth.gov.uk. Or why not come along to one of our DATA Play days to find out how you can get involved.